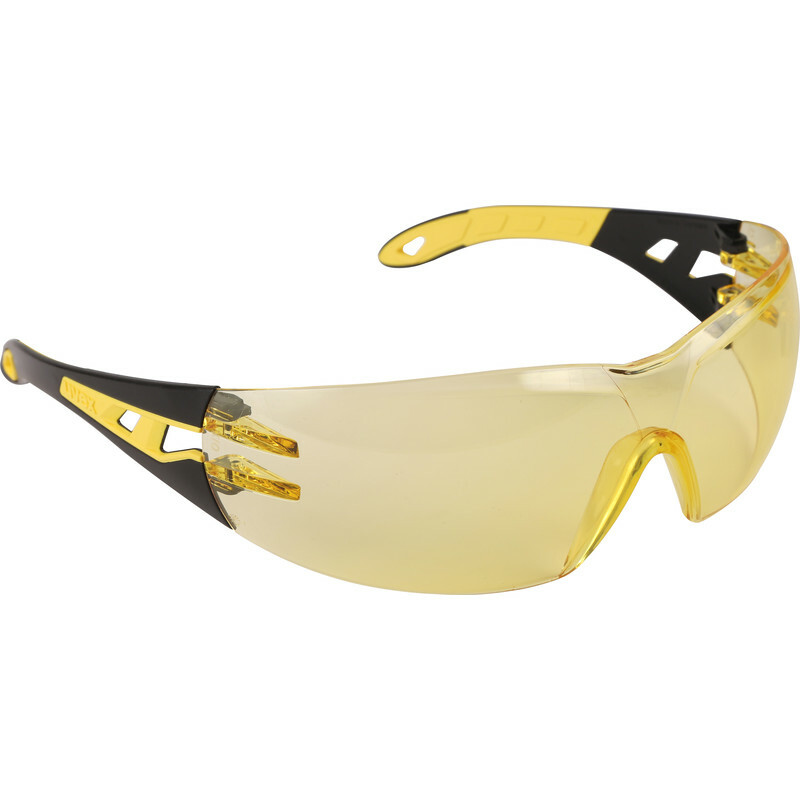 Uvex Pheos Safety Glasses Amber Lens is rated 4.3 out of 5 by 10. Rated 5 out of 5 by Helenlsmith from Uvex pheous I purchased this item for my husband, he thinks and says they are great. he has lots of protection with them and they look good. Rated 3 out of 5 by Woodywood from Good coverage, distorted vision Nice glasses, good cheek gap coverage, comfy. Lens is pretty distorting - not as good as the dewalt I had previously. They don't stay on well - very lightly sand the nosepiece for grip. Rated 3 out of 5 by NeilTurland from Steamed up! I wouldn't call then anti-mist, they steamed up the first time I used then. No better than cheaper ones. Otherwise the quality seems good. Rated 5 out of 5 by Keltoi from Good value for money. I bought a set for my daughter for our woodworking project. While handling them in the store, I realised what good quality and great value for money they are. So I bought a second pair there and then.